When you are just starting a new project, one of the first things you must decide is which point of view to use. Last week we covered choosing the best point of view character for your story. This week, we're going to look at the various types of POV: first person, second person, third person, and omniscient. First person is used when the main character is telling the story. This is the kind that uses the "I" narrator. As a reader, you can only experience the story through this person's eyes. So you won't know anything about the people or events that this character hasn't personally experienced. First Person Peripheral: This is when the narrator is a supporting character in the story, not the main character. It still uses the "I" narrator but since the narrator is not the protagonist, there are events and scenes that will happen to the protagonist that the narrator will not have access to. 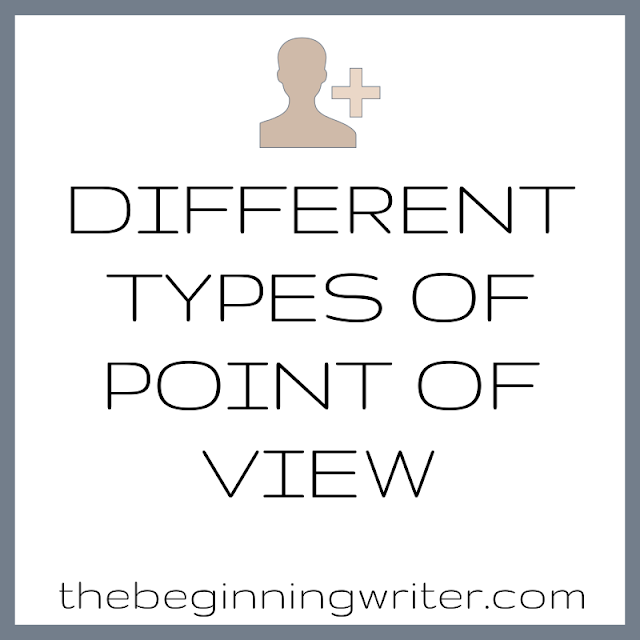 Second person point of view is generally only used in instructional writing. It is told from the perspective of "you". Third person POV is used when your narrator is not a character in the story. Third person uses the "he/she/it" narrator and it is the most commonly used POV in writing. Third Person Limited: Limited means that the POV is limited to only one character. Which means that the narrator only knows what that character knows. With third person limited you can choose to view the action from right inside the character's head, or from further away, where the narrator has more access to information outside the protagonist's viewpoint. Third Person Multiple: This type is still in the "he/she/it" category, but now the narrator can follow multiple characters in the story. The challenge is making sure that the reader knows when you are switching from one character to another. Make the switch obvious with chapter or section breaks. Third Person Omniscient: This point of view still uses the "he/she/it" narration but now the narrator knows EVERYTHING. The narrator isn't limited by what one character knows, sort of like the narrator is God. The narrator can know things that others don't, can make comments about what's happening, and can see inside the minds of other characters. Personally I am most comfortable using Third Person Omniscient POV. It's the only one that flows naturally for me. What about you? Which POV do you prefer to use? thanks for this article, just the answer I was looking for. I've sat down a few nights recently trying to start writing some fiction and keep getting jumbled up and stuck worrying about who's telling the story... an I them? Am I another character? blah blah blah. I think I'm going to try Third Person Limited, seems more intimate. First Person: I felt a cold chill against my neck. The wind brought my mood down even further. I couldn't help but feel that I was lost. "Whatever will I do to make her love me?" I said under my breath, hoping she did not hear. Second Person: There are several things you must do when you are in love. First is to realize if it is true or not. Second to ask the question: "How do you make her love me?" Third Person: Aleksei felt the wind chill against his neck. "Whatever will I do to make her love me?" He thought out loud. He DIDNT think out loud - because he didn't say anything aloud. Better would be 'he ASKED himself.' Or ' He MUTTERED to himself. ' , don't you think? Nice info about first and third person. I personally use third person limited/multiple a lot because, like you said, they're the ones that 'flow naturally for me'. However, I also use third person omniscent and first person sometimes... and I actually don't know why. I don't decide which point of view to use because of rational reasoning, I just take the one that feels right. What about the perspective that uses "we," "us," and "our?" Is that a type of second-person writing? I like first person best! Never sure I'm doing it correctly, but I try to write as if I were a camera recording things and let the character's body language, actions and dialogue develop their character and tell the story. This is good for me, in that it helps me focus on "showing", not "telling." At the same time, I limit my POV to the protagonist. So, in that sense, my POV is Third Person Limited. However, for the sake of narrative, to give historic background to the story and provide information that the protagonist may not know, I find it necessary to also use the omniscient viewpoint. This is called an "Objective" point of view, which is not covered in this blog entry. I find myself using second person for my stories. Weird, isn't it? Yet at the same time I find it pretty intimate for the reader, its as though they were almost the character themselves, or perhaps listening to their thoughts directly, which I think is more engaging. 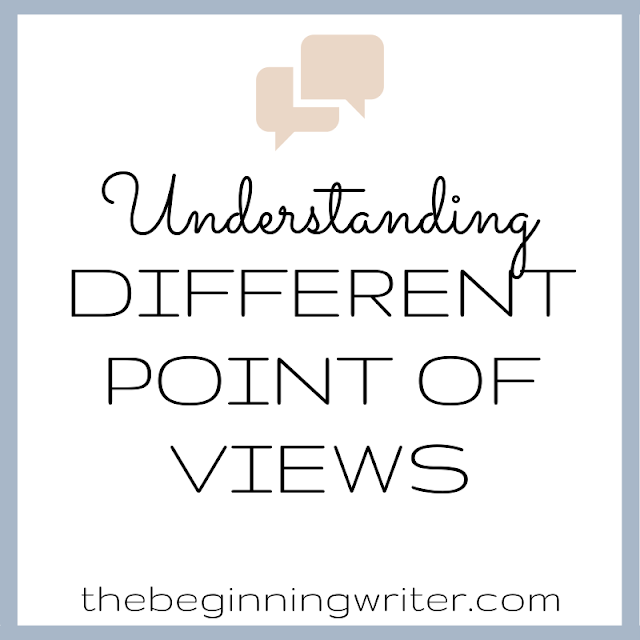 Does point of view only apply to fiction? This was super helpful. Very clear and well written. Thank you! This was a great article, it really helped me a lot. I used to write in first person but have grown to really enjoy Third Person Limited. It allows a bit more freedom than first person. Can the second person point of view be omniscient as well ?! Yes. In writing there are few limits if the mind can stretch beyond the walls of it's own ideas. Like how you think that I am crazy for saying this. ^ - Example of Second Person Point of View Omniscient. Sort of like breaking the fourth wall, but "forcing/enacting" the ideas in someone else's mind to appear. I mostly use First, Second and Third Multiple Person Point Of View. It's what I feel comfortable with and what can be used in the story without giving too much away. There is my personal statement. There is proper way to check grammar when a poet writing an poetry. It is amazing post! Excellent post! This really helped me with my Language Arts assignment. Thank you! Thank you! I just wondered what type of POV I use, because I write fanfiction. I believe second person's point of view works the best for the type of books I write, since I put the reader in them, too. Of course, I use other types as well, but this is my main, haha! Thank you so much, this page really helped me write my paper for my Literary class (duh). And since I don't want to copy your beautiful work ( really, and I bet lots would agree with me), would it be okay if you can tell me what date your page was last updated so I can reference it in my paper. ( I just am going to use one of the definition, the Peripheral Narrator (first pov) and paraphrase it. This is a really useful reference! Thanks! Hi!I Wanted To Know What Point Of View I Write In And It's First Person!This Was Really Helpful!If Anyone Wants To Find Me I'm RileyTheHuskyDogzer On Wattpad!Feel Free To Talk To Me And Read My Story's!Have A Good Day! This was very useful, it was just what I was looking for. I forgot my points of view when i was writing. Has anyone ever alternated between first person point of view and third person point of view, or would that be against the rules of proper english gramar and such? "Proper" English rules are dependent on cultural, environmental, personal, and situational aspects. As a creative writer, you can write however you wish. However, in essays, poetry (except free verse), and other "formalized" writing styles, you are expected to follow the appropriate rules. For example, don't write a Spenserian sonnet and switch midway through to Shakespearean unless you declare it in the beginning, or put it in a creative writing format. Hope this helps!